Black Friday is just around the corner. For many, this means standing in lines and shopping super early in the morning for the best deals on the latest can’t-miss products. For an increasing number of residents around Pierce County, Black Friday has become an excuse to head outdoors to enjoy family time in the splendor of the great outdoors in the Pacific Northwest. Opting outside is easy, and to make it easier, we have highlighted six ideas and destinations that are sure to be a memorable and fun day after Thanksgiving. After stuffing yourself with tasty foods, go outside on Black Friday and feast your eyes on the awesome outdoor adventures around the region. Just a short drive away from the hustle and bustle of the city, Mount Rainier is awaiting your family trip. Snowy and always stunning, a late November trip to Washington’s tallest national park is always a good time. While Paradise may not be open, depending on snowfall and road conditions, exploring around Longmire will reward your family and friends with waterfalls, picturesque bridges and stunning views of our iconic volcano. Keep in mind that you will need to pay the entrance fee to get into Mount Rainier, but can get in for free if you have a fourth grader in your family or have an America the Beautiful Pass. Either way, hiking a short trail or just exploring the park’s lodges and roads may quickly become your new post-Thanksgiving tradition. For those hoping for a getaway for more than the day, there are great deals at the lodges and hotels all around the park! While Mount Rainier is stunning, sticking close to home can also offer big rewards in nature. 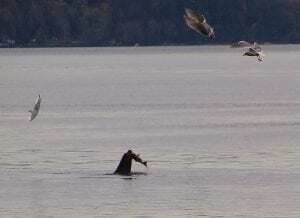 The parks in and around Tacoma, as well as the rest of Pierce County, are downright incredible, giving views of eagles, beautiful forests, and even potentially salmon, seals, and whale sightings. Whether you walk the trails at Point Defiance and Owen Beach, meander along the Sound at Titlow, bike at Swan Creek Park, or explore the beach at Dash Point State Park, the parks in and around Pierce County make for an easy day out in nature. The best part of all the parks in the region is that there is no wrong park to go to! Just hop on the Metro Parks website and find the perfect destination for the day. Just to the west of town, across the Puget Sound, the Olympic Peninsula is the ideal destination for a Black Friday road trip. Offering families and friends opportunities to walk through the incredible forests, up on scenic ridges, alongside spectacular lakes and past breathtaking waterfalls, you can’t go wrong with a trip west. 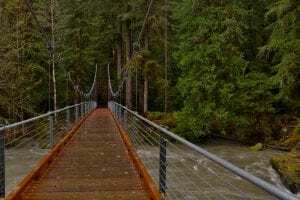 While the Hoh Rainforest, Pacific Coast and Hurricane Ridge may be a bit far to drive, the Hood Canal side of the Olympic Peninsula has everything you would want in outdoor adventures. Whether you hike and see the stunning Murhut Falls, walk the family-friendly trail at Ranger Hole, get soaked walking near Rocky Brook Falls, stand atop Mount Walker, or wander the stunning scenery at Staircase, going to the Hood Canal side of the Peninsula is a nature lover’s dreamland. 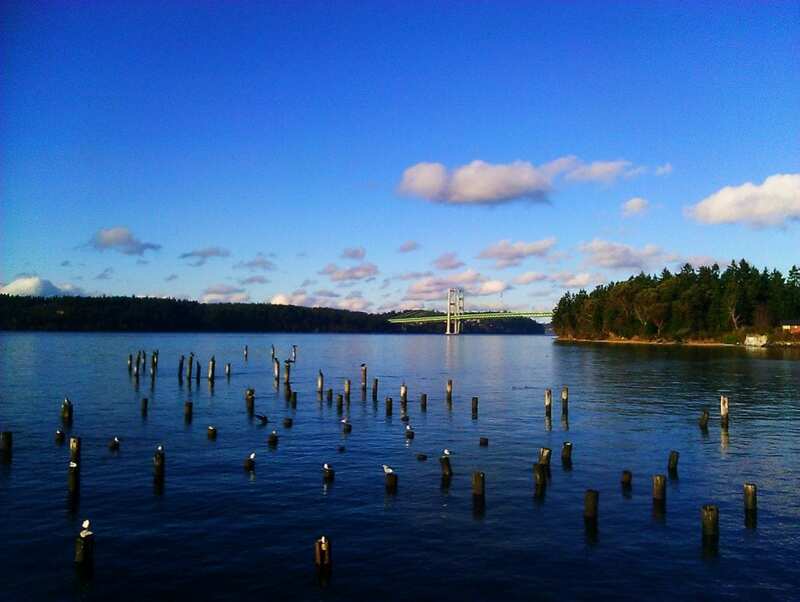 Did you know that on Black Friday, the ferry to Vashon Island leaves the Point Defiance terminal 20 times? The return trip from Vashon to Point Defiance also leaves 20 times that day! From Tacoma, the first ferry starts at 5:05 a.m. and the last one leaves Vashon at 10:55 p.m., helping make the Vashon Island Ferry the perfect way to have a day biking along this idyllic island. Highlighted by quirky shops, rolling hills and the Point Robinson Lighthouse, using Black Friday to bike Vashon Island can be as difficult or as easy as you would like. Taking your bike to Vashon on the ferry will cost adults $6.55 and kids ages 6 through 18 just $3.75. 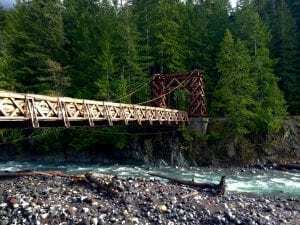 While Washington Trails Association (WTA) doesn’t have any local work parties on Black Friday to give back to trails, there are a handful spread around the Puget Sound region. Your best bet, if you want to help repair trails and make them better for all is to join the Black Friday work party at Mount Walker. Located on the Hood Canal side of the region, this post-Thanksgiving Day work party is most commonly referred to as the Gravy Burner. Those who volunteer will receive a Northwest Forest Service Pass. Can’t join that day? Keep an eye on the WTA work party website for volunteer trail opportunities all year!